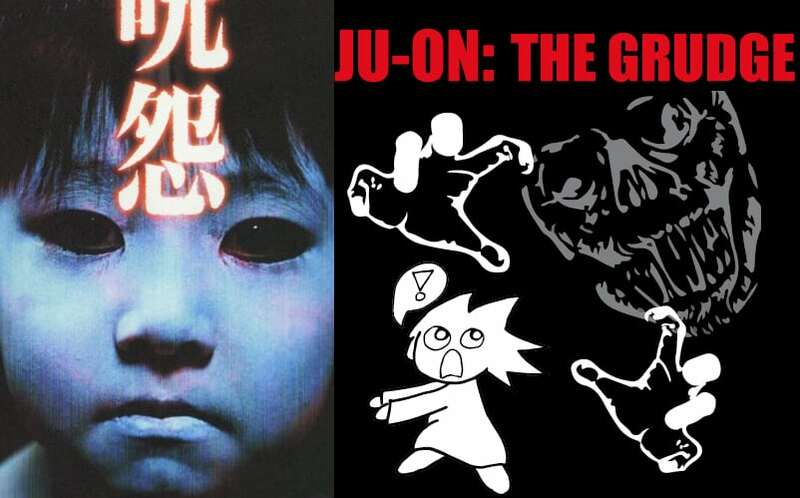 Ju-on: The Grudge Review | Nerd Much? A Crash Course in Horror is a monthly column by our self-proclaimed horror movie noob, Noémi Pomerleau. She reviews a classic (or even “new classic”) horror movie from the viewpoint of someone who has never seen it (because, well, she hasn’t). For the dozenth entry in the Crash Course in Horror series, I thought I should explore the world of horror outside of the English language. The last time I tried this was the disastrous Goodnight Mommy incident. Luckily, Ju-On: The Grudge (or just Ju-on, if you prefer) has nothing in common with that gruesome spectacle beyond the common theme of children being terrifying. 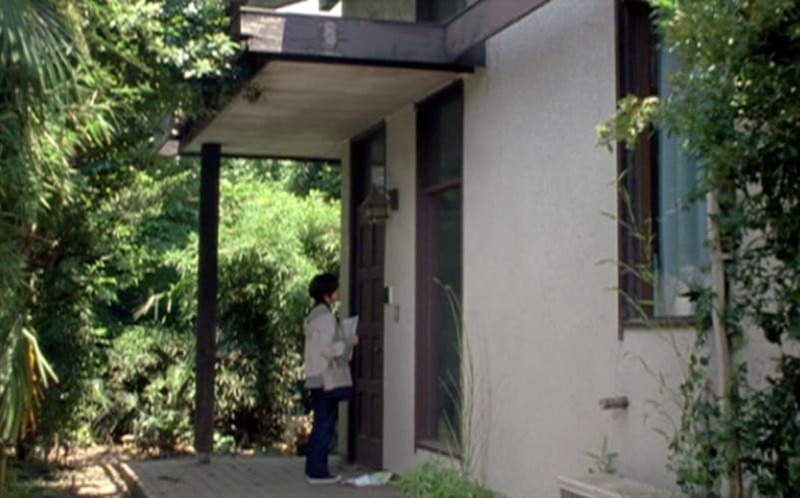 Ju-on: The Grudge is the story of a house that has been cursed by the vengeful feelings of a family that died there, and all the people who visit it. Needless to say, visiting this house is a bad, bad idea. The story is told anthology style, following each character in turn. It doesn’t stick to chronological order, choosing instead to slowly build up to the stories which feature more appearances of the vengeful ghosts. The story is simple, and its pacing is brilliant. It starts you off with stories that make you unnerved and jumpy and builds up to stories that have you screaming “RUN, FOR THE LOVE OF GOD, WHAT IS WRONG WITH YOU, RUN”. Some of the actors give stronger performances than others, but the film leans most heavily on Megumi Okina. Okina plays Rika, the character who features in more stories than anybody but the ghosts. Okina is a fine actress — particularly in moments of abject terror (which, let’s be real, come up a lot) — but I wouldn’t describe her as anything exceptional. The characters who will stick in your mind are creepy ghost boy Toshio (Yuya Ozeki) and his mother Kayako (Takako Fuji), but it’s hard to say whether that’s as a result of their performance or the incredible production design that’s centered around them. Although this physical performance deserves an Oscar, given Leonardo DiCaprio proved that you can win one by spending a movie crawling around and grunting really well. I am a sucker for good sound, and Ju-on has some wonderful sound design. A particular piece of foley that’s used to introduce Kayako sounds like somebody gargling a radio while it’s being tuned. It sounds human and otherworldly all at once. It’s the uncanny valley of sounds, and gets under your skin the moment you hear it. Sound effects are used very meagerly in this film — frequently to emphasize the character’s footsteps or breath and drive home how alone they are — so it’s important that the few SFX are as effective as they are. Music is used exclusively to signify the presence of the ghosts, so by the time you’re a few stories in, just a few notes will terrify you. The music is fairly low-key, and isn’t something you’d remember the tune to after the fact, but it is exactly what it needs to be in the moment. The makeup and hair on the ghosts is also great. Toshio and Kayako are always made up in a way that emphasizes their eyes. It’s most important for Toshio, because all he has to do is stare at people in order to make them deeply uncomfortable. It works on the viewer, too, as the ghosts often look straight-on at the camera. The camerawork in Ju-on is intentionally plain, but it serves the story well. As much as I admire a unique camera angle, the camera in Ju-on is only there to show you the action. Which is good, because the action has more than enough style on its own. The physical movements of the ghosts are beautifully choreographed and the lighting enhances each shot. The simplicity of the story means that the script is fairly plain too, but it’s very effective for what it is. This is also the movie that made me realize something about horror screenplays that I was shocked I hadn’t noticed before. These movies really don’t believe in traditional conclusions! There are loose ends to the plot in every single film I’ve seen so far, and Ju-on is no exception. I realized that I’ve been waiting for a movie that wraps up in a neat little package, and I won’t find it here. It took me a while to come to terms with the fact that none of these movies will reassure me that the monsters they depict are gone for good. Not only would that be bad for sequels… it’s an awful lot less scary. Accurate depiction of the state that watching Ju-on: The Grudge leaves you in. I had to come to terms with an unfamiliar narrative structure to appreciate it fully, but it was worth it. Ju-on: The Grudge is incredible. It’s a joy to watch, and genuinely horrifying. It is probably the scariest movie I’ve seen so far, and is just as good as Psycho in its execution. I would recommend it to anybody who even had a passing interest in horror movies. The only complaint I have is that it doesn’t seem to have been released on Blu-ray yet! How have you allowed this to happen, horror fans!? A Crash Course in Horror updates on every third Saturday of the month. The next update is due on April 16th! If you want to help pick the horror classic I review, just leave a comment below with your suggestion or find me on Twitter (@NoemiPOM)!